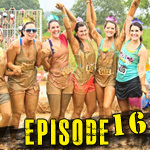 Mini Episode – The Battlegrounds | Getting Dirty with Laurie and Daniel - A Podcast about Obstacle Racing, Training, and Mud Runs. In this mini episode, Laurie interviews Carl Bolm from The Battlegrounds in St. Louis. Use coupon code ‘podcast’ for $10 off!